I found a great article from Meghan Casserly on Forbes and thought I’d share some of it here. A new report from online business community Manta shows that, desperate to increase sales numbers in 2013, American small business owners are turning up on the social web in droves. The trouble is, no matter how much time they spend, they’re simply not seeing a return on investment. Social media use is trending upward according to the survey of more than 1,235 small business owners, no surprise given the attention paid to the various social platforms by big businesses and media outlets. Nearly 50% have increased time spent on social media this year and nearly 55% say they’re using platforms like Twitter and Facebookas a primary tool for either acquiring new customers of generating sales leads. It all sounds promising until this head-scratching result: despite their dedication and belief that social media is the Hail Mary of small business owners everywhere, more than 60% of small business owners say they haven’t seen any return on investment from their engagement online. None. First up, if an expert or strategist tries to sell you on the notion that setting up a Facebook page or Twitter handle (or even a LinkedIn company page) will open the floodgates to an Internet’s worth of sales leads, they’re selling you some bad medicine. Jumping online to check in on Facebook once a day or posting current sales deals isn’t going to bring the business in. It just isn’t. Instead, the only real way to use social to bring in new sales is to dedicate a staffer to spend some serious time online just listening. Filters and using social as a search tool can help, but the most critical factor here is time. According to Manta’s survey, despite the increase in time from 2012-2013, more than half of small business owners spend less than three hours a week online. It’s frustrating, of course, this notion that you can’t simply set something up and watch the sales stream in—which explains the disappointment of the majority of business owners surveyed who say they aren’t experiencing a return on their investment in social. According to this survey from Manta, small business owners are eager to embrace social media, but they’re going about it all wrong—and it’s creating real discontent. With a few subtle shifts in priorities and an adoption of the long-view, small business owners can put themselves back on the path towards success.. and SALES. Full article with some additional great quotes from Social Guru Ted Rubin here. If you’re in charge of your social media presence for your business or your brand, you might want to make time to attend this free webinar: How To Manage Your Social Media: Outsource or In-House? The panel is outstanding and it’s completely free. You know enough about social media to know that you need help managing it – Does your social marketing require full-time staff on your team, or can you assign your social network management to an outside agncy? There is no shortage of agencies that will tout their expertise, but you might question whether they will understand and commit to your brand as well as someone who works for you. On the other hand, does your own staff have the specialized knowledge to manage your campaigns in-house? -How much are you willing to invest in an in-house team? -What’s most appropriate for social marketing, sales, or customer service? -How do you find teams you trust? -What do you look for in choosing them? Mikal E. Belicove is a magazine columnist, contributing writer and blogger who specializing in articles about entrepreneurship, marketing, emerging technologies, legal issues and more. The third edition of his co-authored book, The Complete Idiot’s Guide to Facebook, was published in Oct. 2012. Mikal writes the “Ask a Geek” column for Entrepreneur magazine, and The Business End blog for Forbes Magazine. In addition to his writing, Mikal works at the intersection of high-tech and integrated marketing communications, where he develops and manages handcrafted marketing campaigns while guiding businesses in their efforts toleverage new and earned media in support of their goals and objectives. Chris Vaughn is the Director of Marketing at DigitalSherpa, a content and social media marketing company that builds products around the needs of small businesses. After graduating from Oglethorpe University in 2005, Chris worked as Managing Editor for Bluff Media LLC and even though he got his start in the print magazine world, he had always placed a special focus on digital content strategy and lead generation. At DigitalSherpa, he builds and manages the lead generation program that has been responsible for starting up over 3,000 marketing programs for small businesses nationwide. Rob Key is Founder and CEO of Converseon, the award winning social consultancy founded in 2001. Rob is a recognized industry pioneer who has helped some of the world’s leading brands leverage the power of social within their organizations. He is a Director of the Word of Mouth Marketing Association (WOMMA), the iMedia “Top Digital People to Know” list, and named a Social Media Allstar by the Social Media Society. This type of research makes it clear that many businesses have substituted the Internet and local search for phone books and most print advertising. There are many different tactics you can implement to capture the attention of potential customers, but step one is increasing online visibility. 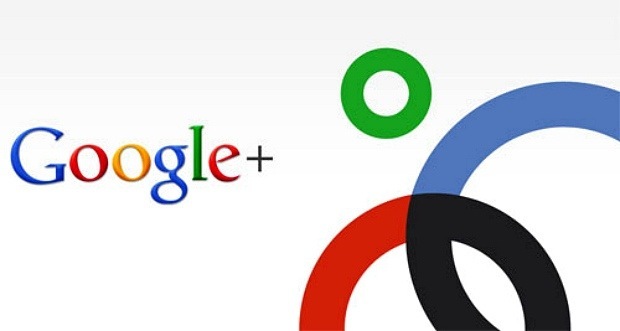 Thanks to services such as Google+ Business, Bing Local and Yelp, this has become extremely easy to do. Just be sure to do it right. Many business owners have local listings, but are doing it wrong. Simply typing in your business name and seeing your listing isn’t enough. Be sure to “claim” your listing so that you can complete your profile and business information in full. This includes pictures and videos of your establishment, types of payment accepted and even whether or not you have paid or free parking available. You can read about this and more on Google’s User Guide. The entire process of claiming or creating your online business listing should take you under an hour. Start with setting up (or claiming) your business listing in all of the directories listed below. Pro Tip: It’s very important for you, as the business owner, to claim the business listing before a disgruntled employee or unhappy customer does it and bashes the company within your own profile. I have seen this happen, and even though it’s reversible, it’s a headache for the business owner to deal with. These are the highest-ranking directories for Google and Bing local searches. Maximize your search engine real estate and claim all of them. Then be sure to read through your reviews on a weekly or monthly basis to ensure you respond to any positive or negative comments you receive. An attentive, caring company will almost always be an equally respected company. In case you’re on top of your Google+ page (and if you’re not – GET ON IT), you might have noticed a complete overhaul of your layout. Here’s mine if you want to check out what I’m talking about. – A new tab for your Local reviews. In addition to your photos, +1’s and YouTube videos, there’s now a place for all your Local reviews. Highlight your favorite restaurants, or hide the tab completely via settings … it’s completely up to you. – An easier way to edit your info. The ‘About’ tab now consists of separate cards (like Story, Places, and Links) — each with its own prominent edit link. As always: you can share specific fields with specific circles, or keep them just for you. – Bigger cover photos, with a better aspect ratio. Cover photos are much larger than before (up to 2120px by 1192px), and they display in 16×9 when fully expanded. This way more images can be used as cover photos, and there’s more room for your selection to shine. Everything’s rolling out gradually, so check back soon if you don’t see it yet. What do you think of the new changes?